Get Fit with Pokemon GO! This is a post from Master of the Fitness Universe, Jim. In less than a week, Pokémon Go has become the number one mobile game with over 7 million downloads (you can download it for your iPhone or Droid). Just trying to find all the different Pokémon in the game will take you quite some time (there are 151), and players are rewarded for exploring new areas of their town or city, as different Pokémon appear in different locations. It’s this sense of exploration and wonder that has caught (pun intended) a lot of people’s interest. Don’t scoff at this game because you think it’s for kids – we could all use a little more child-like fun, activity, and imagination in our lives. Pokémon Go is a great reminder that exercise can be enjoyable and automatic, fueled by fun instead of by that nagging feeling in our heads. 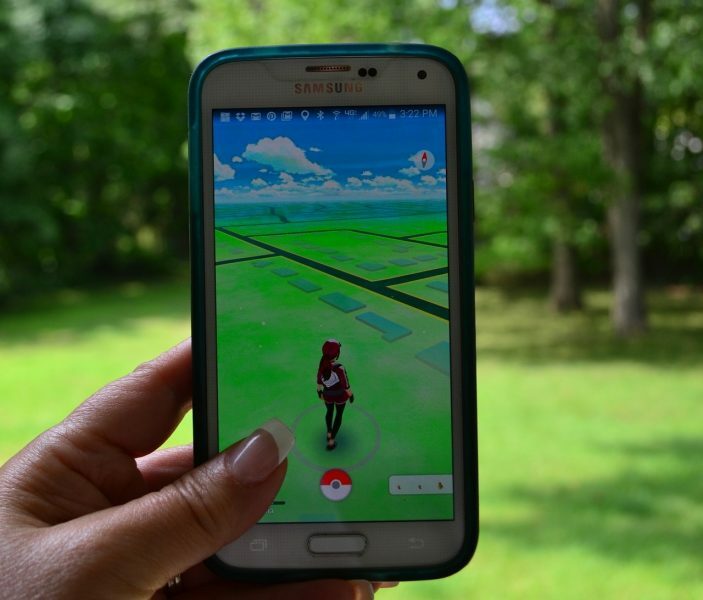 Pokemon Go: How can it help me get healthy? Walking is one of the best things we can do for ourselves: it’s been shown in countless studies that extra walking (5,000 – 10,000 steps/day) can improve mood and body composition, as well as lower anxiety. And Pokémon Go has the impetus to get out and get walking built right into the game play. That grocery store on the corner or the community center down the street? Those aren’t just buildings: Now they’re refueling stops (Poké Stops) with sick l00t on the quest to catch em all. Each Poké Stop has a brief refresh period before you can use it again, so it pays to walk around and hit up as many as you can find! More than that, you hatch the eggs you find at Poké Stops into Pokémon by… wait for it… walking! The more walking required to hatch the egg, the rarer the Pokémon. For some, the game itself will be motivation enough to get out and about. But how can you use the game to level up your day outside even further? Take that dog of yours for a longer walk. 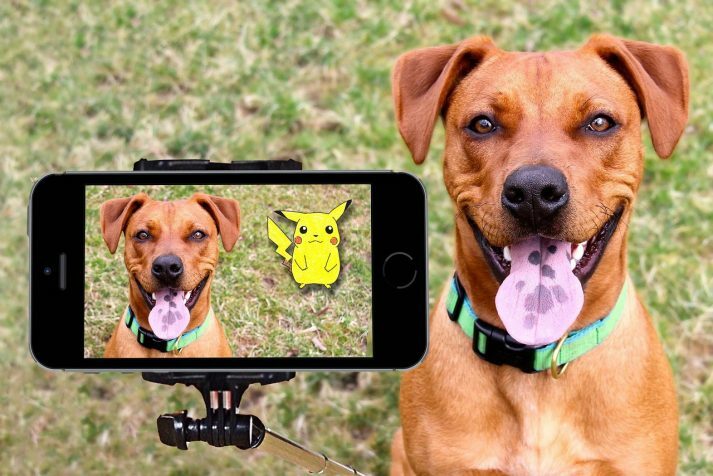 Your dog wins AND your Pokémon army wins. If you walk a lot in your town/city, take a longer route to work/gym. Or park further away and walk extra steps to hatch yourself a new Pokémon! FINALLY exercise on your lunch break: take a walk after you’ve finished eating. Or take that walk after dinner. Warning: Don’t use Pokémon Go as an excuse to walk to get ice cream. Reward yourself with things that reward you back (like new running/walking shoes). We want to be careful not to integrate the game into our existing habits, but to use it as a means to build a healthier life. Pokémon Go is easy and fun to work into a day exploring your city or hanging in the park, but you can also integrate your Pokémon training with some more advanced physical training! Spend some time walking and hatching eggs, and when you’re ready to take things up a notch, try the Pokémon Go Workout! Do the number of reps of the exercises below, equal to your trainer level. As you level up and your trainer level increases, you’ll need to do more and more reps of each exercise. But what are you doing reps of? Catch a Pokémon that doesn’t fly? Do squats or burpees, a classic ground-based exercise. Catch a Pokémon that looks like a bug? Do lunges like a bug moving its legs. If you catch a Pokémon around anything that you could safely do a chin-up from (playground equipment, most likely), then do chin-ups or jumping chin-ups! Still can’t get enough? Every time a Pokémon runs away, sprint to the corner (or another close, nearby landmark). Egg just hatch? Sit at the bottom of a squat for 30 seconds or more (like you’re hatching an egg!). Some of you might find yourself saying, “I don’t have kids to take around or friends who are interested in this stuff, what do I do?” We all know workout buddies can add accountability to any exercise routine. And we also know A LOT of people are playing this now. Don’t want to brave out into the wilderness to meet people without a fan? 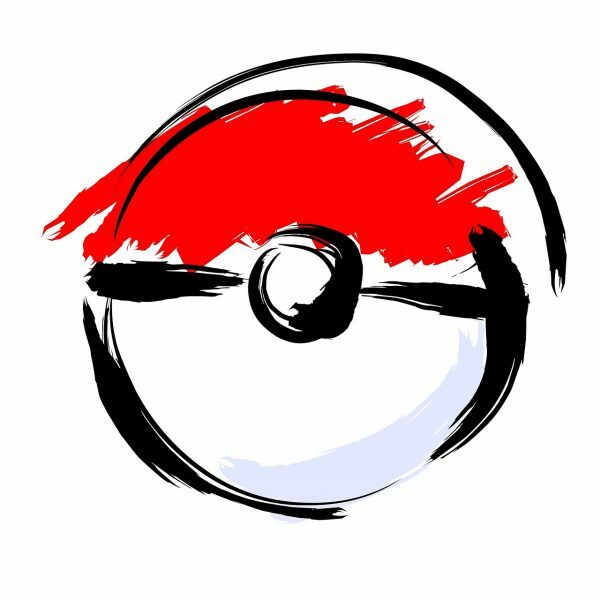 Check out the Nerd Fitness Pokémon Go group. There are also a TON of local Pokémon Go groups popping up on Facebook, Meetup, and other social media hubs. Find one in your area and get out there! With Pokémon Go being a brand new game, we’ve assembled some pro-tips to arm you with the knowledge you need to become a master trainer in no time. If you’re totally new, be sure to open up your game menu and in the upper right click on “tips”. It will give you a quick tutorial on important game elements! Tracking Pokémon: Use the radar in the lower right to find Pokémon in the area. Keep the radar open and if the Pokémon you’re tracking moves to the left or up on the grid, that means you’re getting closer! 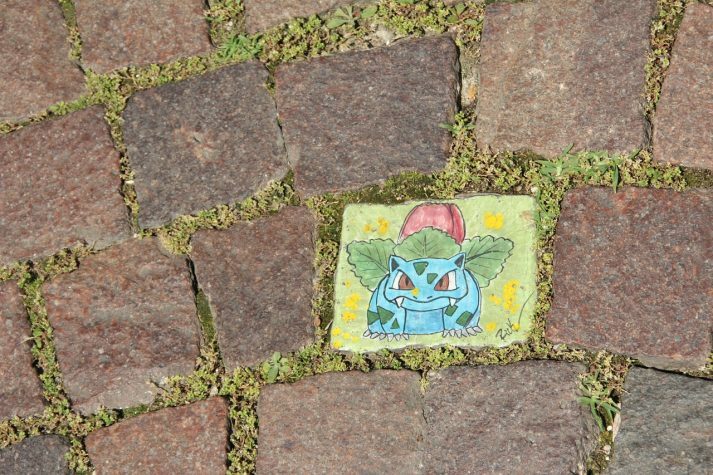 Finding Pokémon hot spots: Pokémon tend to congregate around high traffic areas (malls, bus stops, restaurants) as well as points of interests (statues, parks). Throwing Technique, Bonuses, and Power Ups: For less immersiveness but a slight in-game advantage, turn off your AR (switch in upper right corner) when throwing Pokéballs. It helps center the Pokémon on your screen better. 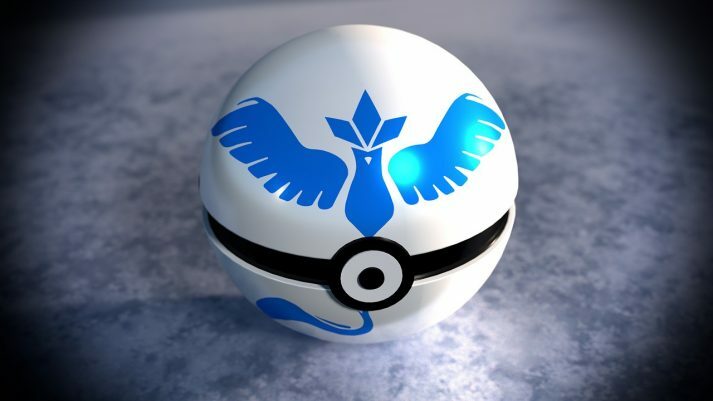 Some gamers also find throwing a Pokéball with their index finger instead of their thumb to be more accurate. Curveball bonus: We’ve tried a lot of these techniques and found a tenuous connection at best. At just an additional 10 XP, I wouldn’t worry about chasing after this bonus. Nice, Great, and Excellent Throw Bonus: At an extra 10, 50, and 100 XP bonus respectively, these are the ones to go after! Hold the Pokéball and watch for a shrinking colored circle. Hit that circle with your Pokéball! The smaller the circle, the bigger the bonus! Power Ups: If your Pokémon keep escaping, use razz berries or more powerful Pokéballs. Both become available when your character reaches higher levels. 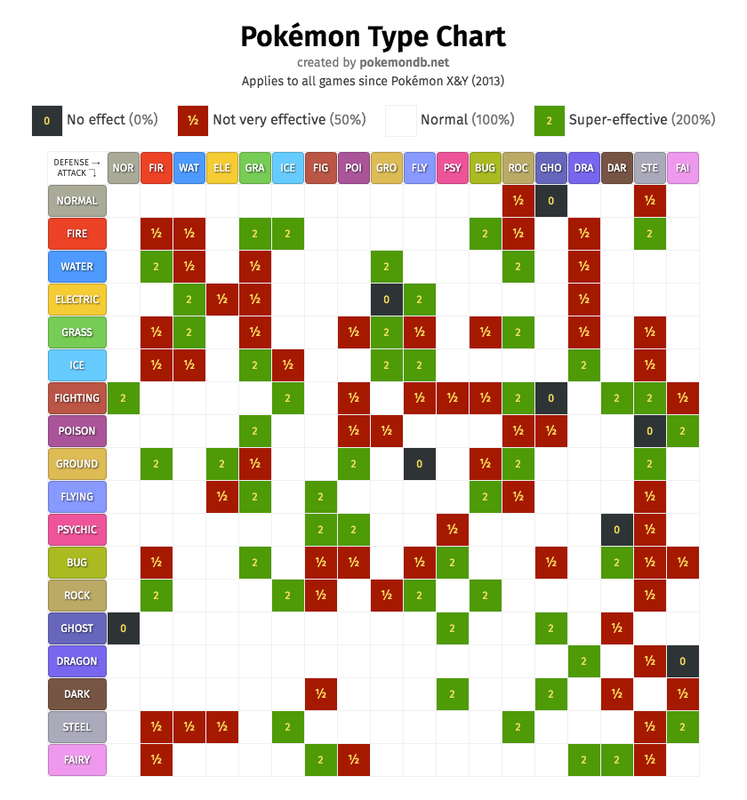 Transfer Pokémon back to the Professor: Have a lot of repeat Pokémon? “Transfer” them back to get an item called candy, which you can use to power up or evolve the stronger Pokémon. Powering Up vs. Evolving. What should I do? Generally, you’ll want to evolve your Pokémon first, as they get an enormous, permanent boost in strength. After you evolve them, you can decide if you want to power them up further. Save up all your candies for a few days beforehand. Make sure you transfer the weaker Pokémon in for candies, but save enough that you can evolve them. (If you have 36 Pidgey candies, keep your 3 highest Pidgeys to evolve). Park yourself at a Poké Stop and drop a lure on it (lasts 30 minutes). Or you can find one someone else has used (the Poké Stop will be spouting a pink-purple confetti). Start using all those saved candies to evolve your Pokémon. You’ll double your EXP bonus to +2000 for a Pokémon you didn’t have before and to +1000 for one you already had. Your catch bonus will also be doubled, and you should be reeling ‘em in quickly thanks to the lure and incense. Now spend the next 30 minutes catching swarms of Pokémon and frantically evolving everything you can. You can easily jump up 2-3 levels and become the very best that no one ever was. 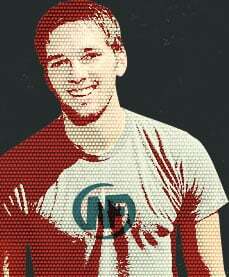 Should I buy anything from the store? We think incubators are your best bet: the more incubators you have, the more benefit you get when you walk around. Fun incentives to get moving? Win! Time of day makes a difference: Did you know that some different Pokémon can come out at night! Stay safe though! Saving your battery: Turn on the battery saver function in the game’s settings menu! The phone dims when turned upside-down. For those of you who aren’t messing around, consider a portable charger! Game frozen? Let it go.When in doubt, force stop the game and restart it. Gyms and Battles: There is no inherent advantage to any team color, pick whichever one you want. When training or battling at a gym, pick your Pokémon based on the other Pokémon weaknesses. Refer to this handy chart. Maybe you’re ready to jump into the craze that is Pokémon Go. Even if you’re not, I hope we rekindled some sense of curiosity and imagination in you… that exercise doesn’t have to be a chore, but it can be a pleasant side effect of just getting out and having fun. We certainly hope to see more of this with video games in the future. Wouldn’t you rather get outside and play a game, instead of staying inside and pounding away on a treadmill? And sure, Pokémon Go might not replace your current workout regimen anytime soon, but it can be an excellent (and fun!) addition. Getting in more steps everyday is always recommended for improved physical health, and keeping a sense of kid-like wonder is sure to improve your mental health too. Do you have any tips that we can add to our page on Pokémon Go? Let us know in the comments! P.S. From Steve: I’m in the UK and doing last minute NF Rebel meet ups in Scotland and London THIS WEDNESDAY AND THURSDAY. Sign up on Facebook for Scotland and London and get the details as they get finalized. Hope to see you there!